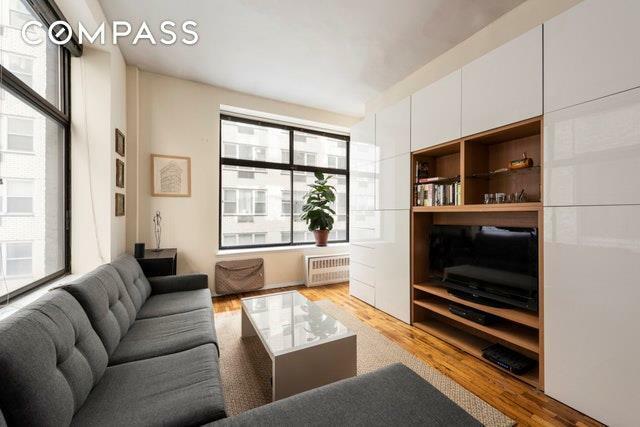 This stunning corner loft features two oversized windows with bright South and East exposures and soaring 10+ foot ceilings! 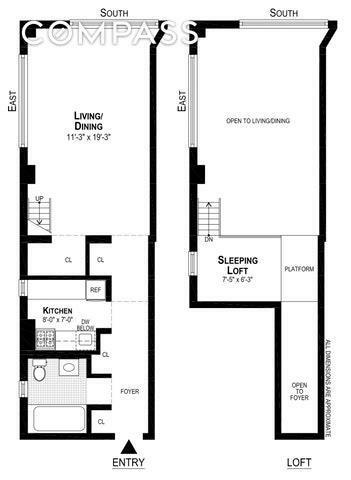 Pin drop quiet, with an excellent floor plan offering a separate windowed sleep loft (5 foot ceiling height), with an abundance of closets and storage below. 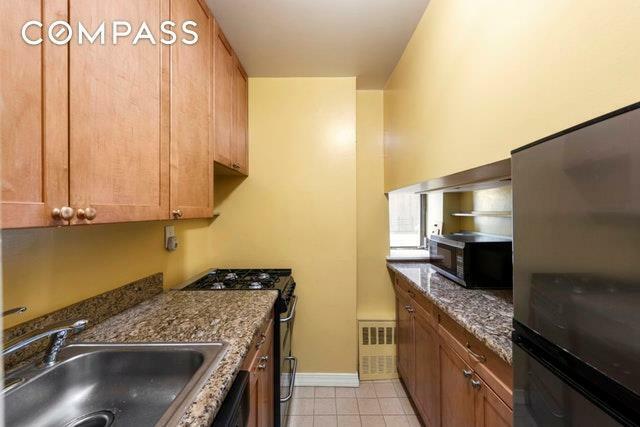 The spacious windowed kitchen has granite counters, lovely hardwood cabinetry and is complete with a dishwasher. 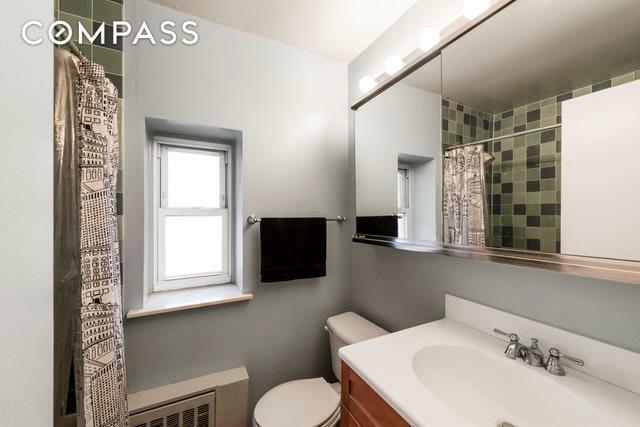 The stylish windowed bath has been renovated with Waterworks tile and a deep Kohler tub.The Foundry, a pre-war converted factory building, offers a planted roof deck, common laundry facilities, bike room, storage, video intercoms and a resident super. This flexible pet-friendly CONDOP allows guarantors, parents buying with/for children, pied-a-terres, and unlimited subleasing after one year. In unit washer/dryers are permitted with board approval. Live/Work is OK. Maintenance is 63% tax deductible. Up to 80% Financing. 2% flip tax in place.